There is no doubt that after an exciting day of competition, your team will probably want a nice hot meal to help you refuel for tomorrow’s matches. 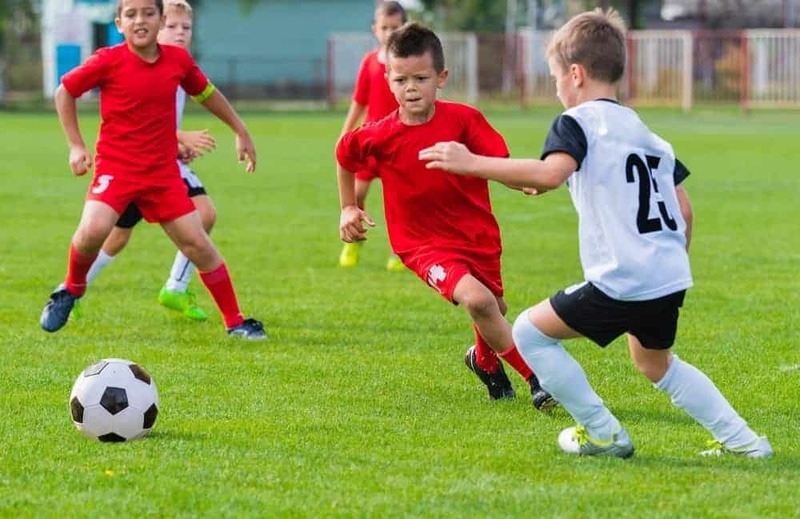 That being said, one of the biggest perks of choosing Rocky Top Sports World for your youth sporting event in the Smoky Mountains is that you will are just a short drive from all the many delicious Pigeon Forge and Gatlinburg restaurants that call the area home. Not matter what you are craving, you are sure to find the perfect place to eat. Need help deciding with all the great choices? Learn a little bit more about our favorite Gatlinburg restaurants near Rocky Top Sports World below! Fun for both the kids and the parents, T.G.I. Fridays in Gatlinburg is just the place to eat if you and your team are looking for a fun and inviting environment to round out your day. Not only is the menu filled with great-tasting items that are sure to cure your appetite, but the eclectic memorabilia that decorate the walls really help to add to the excitement. What we love even more about this Gatlinburg restaurant is, after you finish your meal, you and your team can spend the rest of the evening exploring the many shops and fun things to do along the Gatlinburg Parkway. All within walking distance, all of these shops and attractions are a great place to pick up a souvenir to remember you team’s latest trip to the Smoky Mountains. Who doesn’t love pizza? At Gatti’s Pizza near Gatlinburg, that is just what your team can find, as well as dozens of the most popular arcade games and activities to keep you entertained throughout your meal. Don’t worry mom, all the games found at this Gatlinburg restaurant promote good, clean fun. In addition to their food and popular arcade area, Gattli’s Pizza is also well-known for their private party rooms that groups can rent out to enjoy some privacy during their meal. This is perfect for teams who want to celebrate a win or possibly discuss strategy over a slice of their favorite pizza. These rooms are also great if you want to host your own private awards ceremony after your tournament at Rocky Top Sports World has ended. After you have finished, you and your team can head back to your cabin or other choice Smoky Mountain lodging near Rocky Top Sports World, or you can stay out and explore all the exciting things to do in Pigeon Forge. Similar to the Parkway in downtown Gatlinburg, this area is filled with a ton of exciting shops and attractions that will help your team unwind after a fun-filled day at our Gatlinburg sports complex. It is hard to go to Golden Corral and not find something that you love on their fresh buffet bar. This Pigeon Forge restaurant offers everything from crisp salads to USDA sirloin steaks. What we like the most about Golden Corral is that all of their food items are made from scratch with only the best and wholesome ingredients available. This means that not only will it help your team refuel after a long day, but it will also make sure that what you are refueling with will help you for the next day’s competition. Be sure to save room for dessert because we know you are going to want to try something from their chocolate fountain. Fondu made easy, this dessert options invited visitors to pick up their favorite cake, fruit, or other sweet treat and blanket it with a delicious coating of chocolate. For more information on these and many other fun things to do in the Smoky Mountains while you are competing at Rocky Top Sports World, be sure to check out our Sponsors page on our website. It is thanks to these great companies that we are able to offer such a high quality youth sporting experience for our guests. This entry was posted in Our Gatlinburg Sports Complex on September 1, 2014 by rockytopsports.